ComSec LLC Offers TSCM & Mobile SIGINT Products. 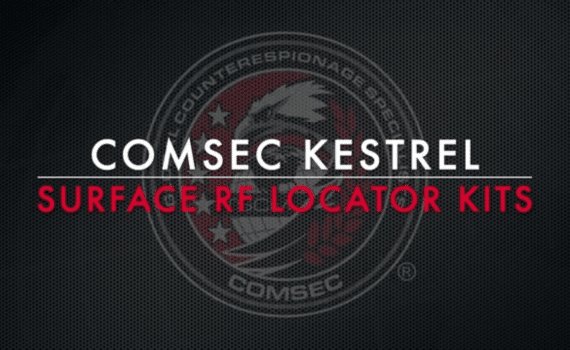 Kestrel TSCM Pro Software, ComSec Kestrel Surface RF Locator (KSRFL) Kits and the ORIUS® Wi-Fi Directional Finder. ComSec LLC product offerings include Mobile SIGINT Solutions. We provide products to Government, Military, Law Enforcement, TSCM Professionals & Corporations. Likewise, our product offerings include: Kestrel TSCM Pro Software, ComSec Kestrel Surface RF Locator (KSRFL) Kits & ORIUS® WI-FI Directional Finder. 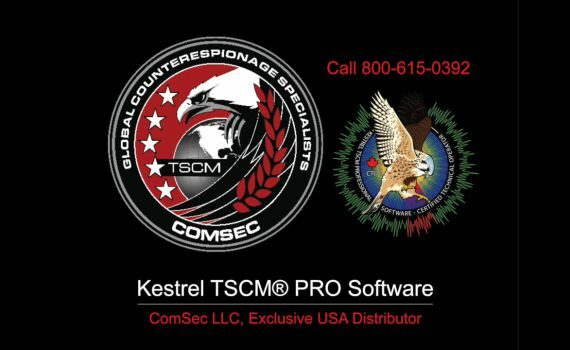 We are a sole source provider of the Kestrel TSCM Pro Software in the USA. We are a COTS, sole source provider of the Kestrel TSCM Pro Software and the Kestrel Surface RF Locator Kits (KSRFL & KSRFL-2) in the USA. So, call ComSec LLC at 800-615-0392 or complete a product request form for more product information. Kestrel TSCM Pro Software is an industry leading, award winning RF spectral analysis software for TSCM professionals.